As soon as you reach your duties start date, BrightPay will automatically assess your employees for you and determine whether your employees are eligible jobholders, non eligible jobholders or entitled workers. have qualifying earnings payable by the employer in the relevant pay reference period that are above the earnings trigger (£10,000 for 2018/19) for automatic enrolment. 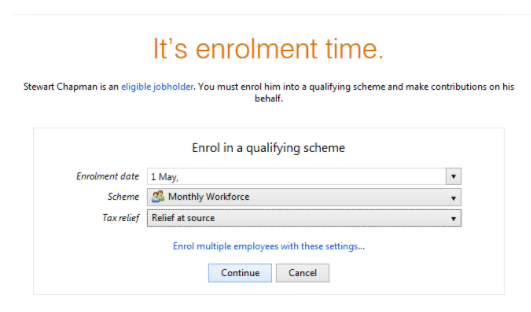 As soon as you reach your duties start date in the Payroll utility, on-screen flags and alerts will appear to notify that you have automatic enrolment duties to perform. To enrol an eligible employee, simply select Enrol, followed by the pension scheme group into which the employee is being enrolled and the applicable tax relief (if unsure of the tax relief to apply, please check with your pension provider). 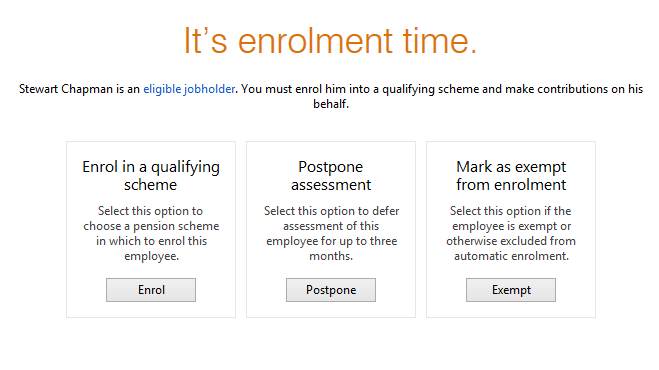 The employee is now enrolled into the selected group of your pension scheme. Once enrolled into a pension scheme pension, contribution deductions start from the current open or subsequent pay period. Deductions commence without any consultation with the employee, thus meeting the employer's legal requirement to automatically enrol the employee. 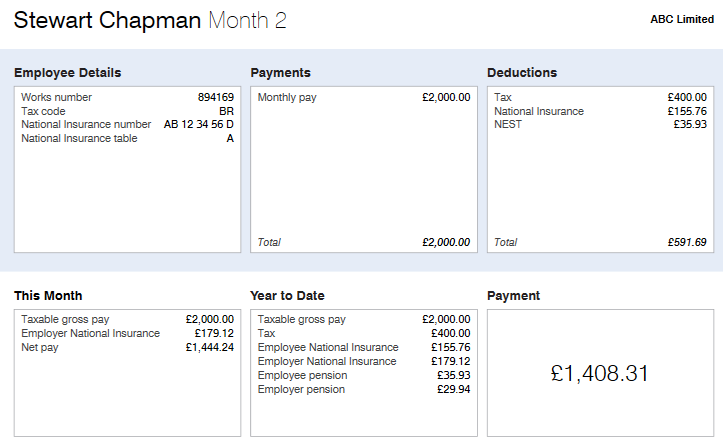 The deduction applied to the payslip is made in accordance with the contribution rates and earnings bands selected when setting up your pension scheme in BrightPay. All pension contributions deducted from an employee's pay in each pay period will be itemised on their payslip. Employees should be issued with a payslip for each pay period. BrightPay facilitates the printing, exporting and emailing of payslips. Once an employee has been enrolled, BrightPay will then automatically prepare their Enrolment Letter and this can be printed, exported to PDF or emailed to the employee. BrightPay uses the simplified Pensions Regulator letter templates. Enter a date (if applicable) and the signatory to be added to the letter. 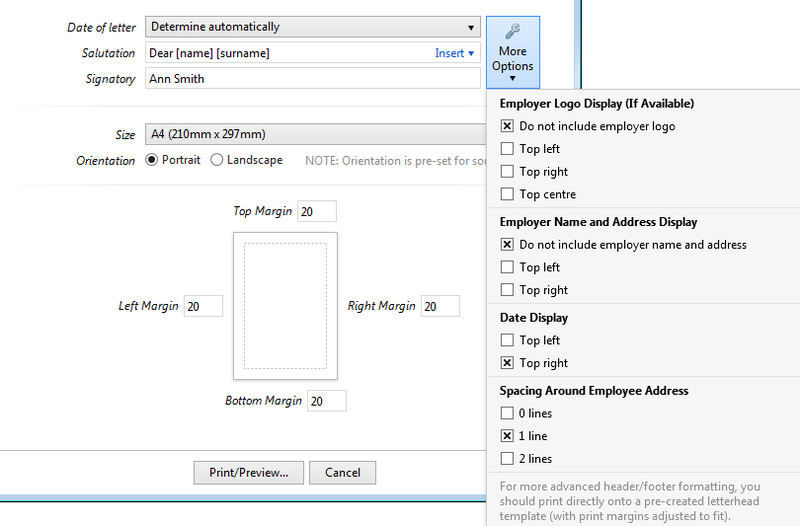 If printing or exporting the communication letter, further customisation of the letter is available within the 'Options' menu. Select Print/ Preview/ Create PDF/ Send Email accordingly.